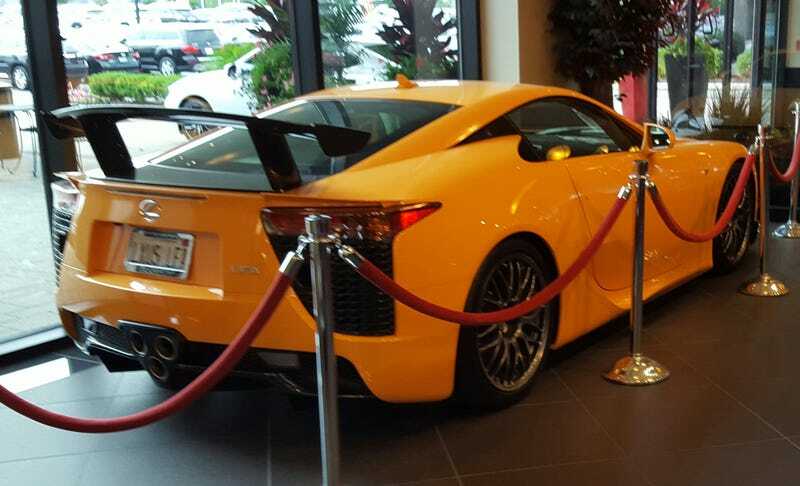 Apparently this is one of the twelve unsold LFA’s, according to the FP article. Stopped by my local dealer to take a quick look at a GS-F and this was sitting there. I’m not really sure what the point of this is - an investment to hold, I suppose.